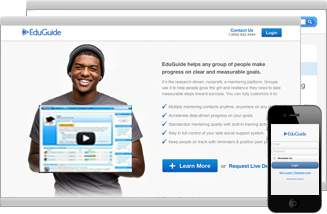 EduGuide is a non-profit aiming to help any group of people make progress on clear and measurable goals. Their unique platform has helped over 1 million people anually take steps toward success. When first asked to help EduGuide, we couldn't resist; our core values align perfectly with their vision. Our team has helped EduGuide with the design and development of a mobile app, new user experience, marketing page, and much more. Party Armor is a dietary supplement composed of a proprietary blend of vitamins, minerals, herbs, antioxidants, and amino acids. This formulation was created to protect against common hangover symptoms that occur from drinking alcohol (such as nausea, headaches, or muscle pain). 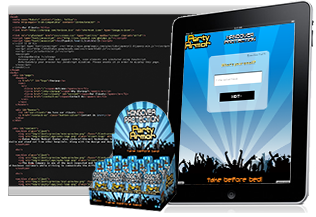 We've helped Party Armor with the design and development of an iPad web app, search engine optimization, hosting, and other back-end services. Eaton Rapids Medical Center uses state-of-the-art technology to provide an array of services, including diagnostic testing, treatment, and rehabilitation. 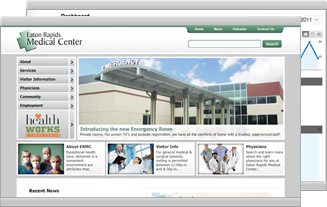 We approached them with ideas on how they could modernize their website and stand out from other hospitals. Along with the design and development, we've also implemented an online employment form, donation form, membership signup/renewal, and a variety of other online solutions. The Eyde Company is one of the most respected and largest premier land, building and real estate developers in Michigan. The company turned to us for help in creating an Internet brand and websites to reach both residential and business customers while striving to communicate the different locations offered. Our team analyzed their goals and provided multiple solutions that included creating a brand, web design, web development, and SEO. 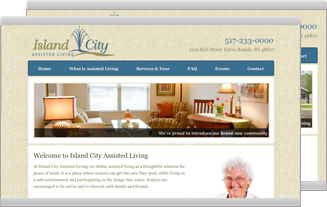 The mission at Island City Assisted Living is to provide an environment that improves the quality of life, health, and mental well-being for seniors in the mid-Michigan area. As the brand new facility was under development, they came to us with an important challenge of creating a new Internet presence. 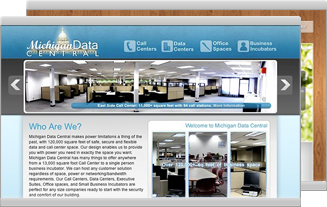 Our team provided them with professional design, development, and hosting solutions that continue to gain their exposure.